Step into the Shark Water Slide for some silly sliding fun. 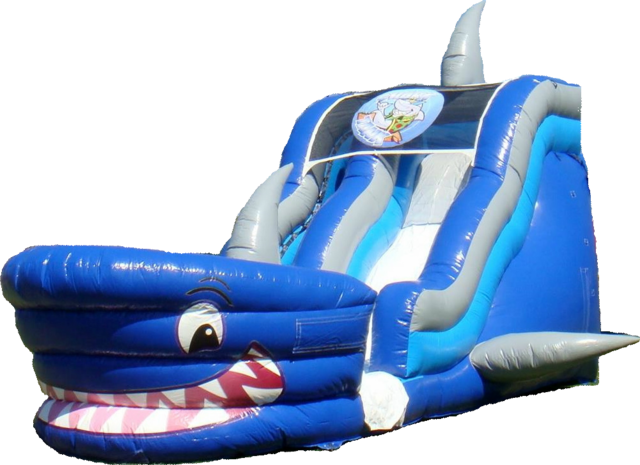 There’s nothing fishy about having a giant shark water slide at your next party or event, because this fish will make a big splash with all your guests. Watch them laugh and smile when they see this large smiling water slide shark complete with side fins, dorsal fin and tail. In addition to all of these fun features, this water slide was designed with safety and durability in mind and constructed with only the highest quality "lead free" materials. Maximaze your guest experience with a dunk tank, a snow cone machine, or maybe a bounce house and an obstacle course.